Is this yet another iPhone knockoff, a cosmetics mirror, or some super-secret prototype that proves Apple is getting into networked birth control case design? Shoot, how about all three? 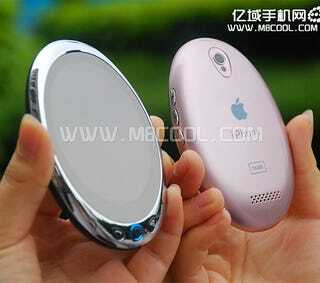 OK, it's just some lame Chinese knockoff phone. Ya got me.